For the second half of the 20th century and the early 21st century relations between Liechtenstein and Czechoslovakia and later the Czech Republic were literally non-existent as diplomatic relations were only established in 2009. However, the two countries have been making up the lost time with frequent meetings and exchanges during the past half a decade. Today, a high ranking Czech economic delegation visited the Principality once again to intensify relations between the two countries. 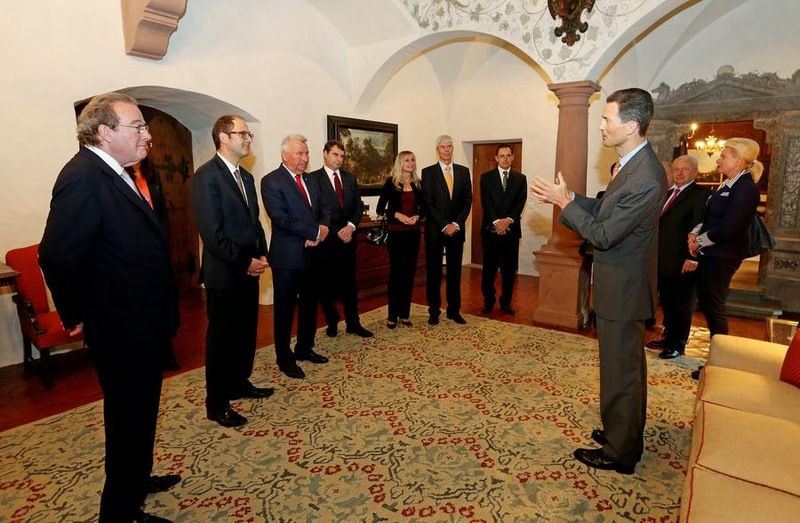 Naturally, the delegation also met with Hereditary Prince Alois for an exchange of views. Both Volksblatt and Vaterland have visuals of the day.